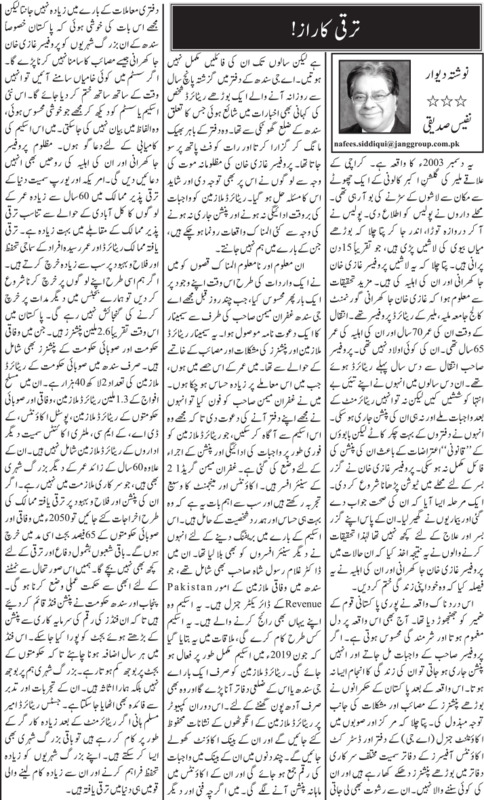 ACCOUNTANT GENERAL SINDHLet's Make Things More Transparent! Mr. Ghufran Memon, holds Masters Degree in Accounting and Finance from Cardiff University UK. Mr. Memon is a senior Civil Servant with more than 31 years of service at his credit. He joined Central Superior Services in 1987 and since been working in various Ministries in Federal Government and Departments in the province of Sindh. Mr. Ghufran Memon has International exposure of working as Commercial Secretary in Pakistan Embassy in Indonesia and Consul General of Pakistan at Hong Kong. Mr. Memon has previously served as Assistant Accountant General in 1990 and as an Additional Accountant General in the years 2006 to 2009. He is married and have two sons. The office of Accountant General Sindh is part of Controller General of Account. It provides an independent nonpartisan Financial Statement of Government of Sindh and Appropriation of Accounts and act as Financial Advisor to Government of Sindh. The AG Sindh derives functional powers from Controller General of Accounts Ordinance 2001. These powers include authorizing expenditure after applying pre-audit checks. However, certain expenditures of Sindh Government are by passed from pre-audit checks. Therefore, AG Sindh receives such accounts from concerned and consolidates to prepare Financial Statement and Appropriation of Accounts. All the expenditures of Sindh Government which are pre–audited by AG Sindh are processed through SAP-ECC6 network across the Sindh Province. In order to provide door step service to the public, there are 21 District Accounts Offices besides one Treasury Office and AG Office at Karachi. The District Accounts Offices are being manned both by AG Sindh officials and Finance Department. Presently staff ratio between AG and Finance Department at District Accounts Offices is 20:80. The Treasury Office at Karachi is also working under administrative control of Finance Department. The AG administration believes in team work and striving to achieve excellence in Financial Management through computerized environment. 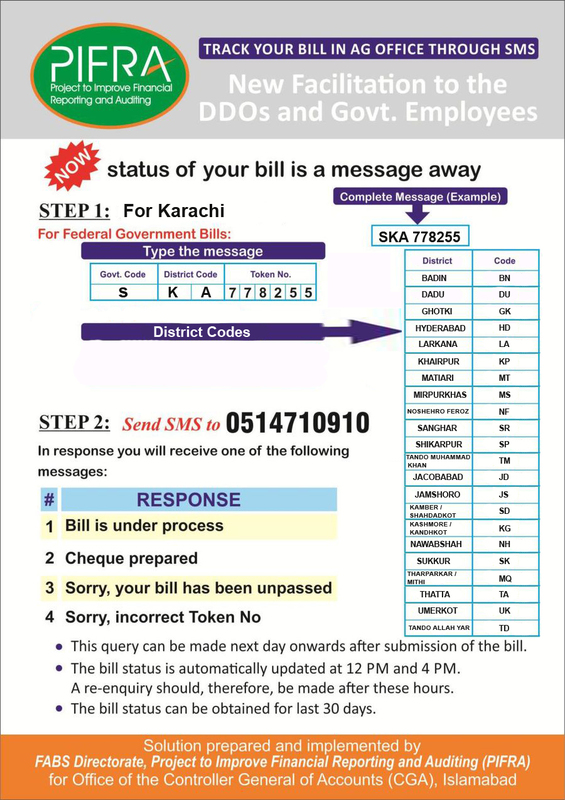 It provides computerized pay and allowances to the entire regular and contract employee of Government of Sindh and maintains their service record. It provides IT services to GP Fund subscribers and Pensioners. Our next goal is to bring all the historical pensioners information on Direct Credit System by March 2016. We aim to deliver quality service to Provincial and District Governments by improving financial reporting in accordance with International Accounting Standards and to act as a catalyst in enforcing accountability and good governance. To make AG Sindh a modern cutting edge, progressive and efficient institution. Mr. Jamshed Alam Malik, Accounts Officer/I.C.O has been nominated as focal person for redressal of public complaints and pension matters of Federal Government Employees. © Copyright Accountant General Sindh Pakistan, All Right Reserved.